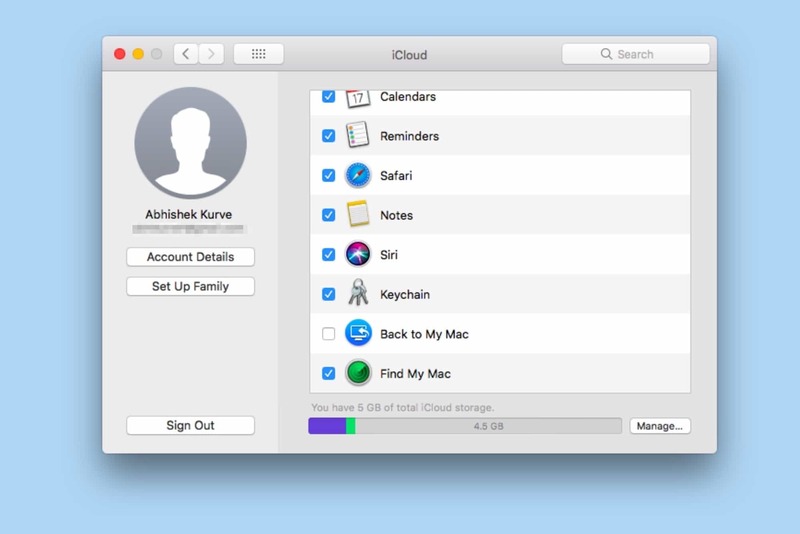 Setting up iCloud Keychain is extremely straightforward and easy. Nobody likes having to type a password every time they need to sign in to a website or service. iCloud Keychain is Apple’s take on simplifying password management across the Mac, iPhone and iPad. It securely stores your user names, passwords, and credit and debit card details, then auto-fills fields when required. It can also generate strong passwords and sync Wi-Fi credentials. If you’re deep into the Apple ecosystem, it might be a good idea to start using this handy feature. 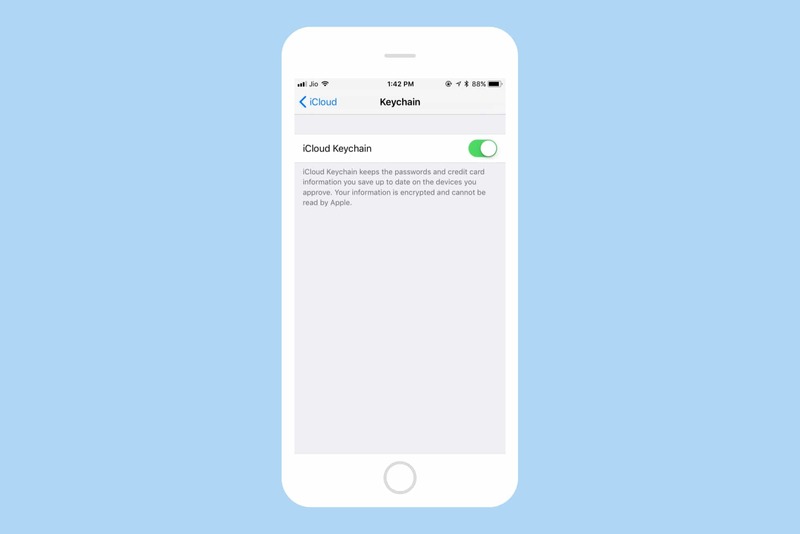 Before we dive in to use it, let’s have a look at all the features of iCloud Keychain. iCloud Keychain lets you store website login credentials such as user name and password. You can also add a credit and debit cards if you want. These details get stored securely, then synced across all your Apple devices with iCloud Keychain enabled. The service also stores the passwords of Wi-Fi networks you’ve connected to and syncs them across devices. 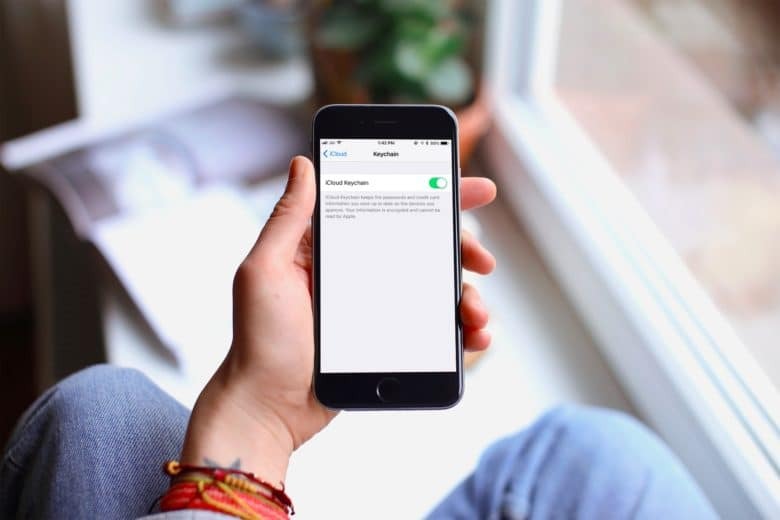 So, if you’ve connected your Mac to a password-protected Wi-Fi network, your iPhone should be able to connect to it automatically without requiring you to enter the password again. 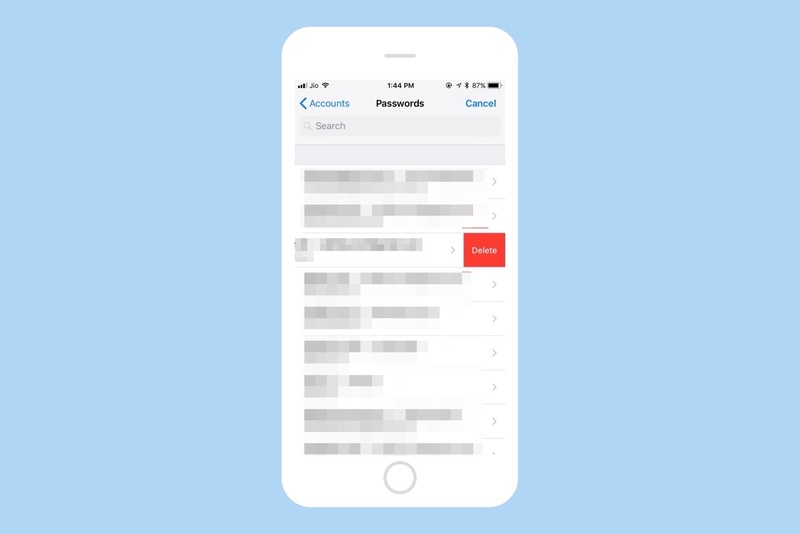 To help boost security, iCloud Keychain also features a random password generator for creating strong and unique passwords. It stores them safely so you can auto-fill them later in Safari. Enabling iCloud Keychain is just a flip away! Setting up iCloud Keychain is fairly easy. To get started, open your iPhone or iPad’s Settings app, then tap on your Apple ID. Navigate to iCloud > Keychain and toggle on iCloud Keychain. Enter your Apple ID password to proceed. If this is the first time you’re setting up iCloud Keychain, you’ll need to create an iCloud security code. If you’ve set it up previously, enter that code here. Alternatively, you can also verify using two-factor authentication. 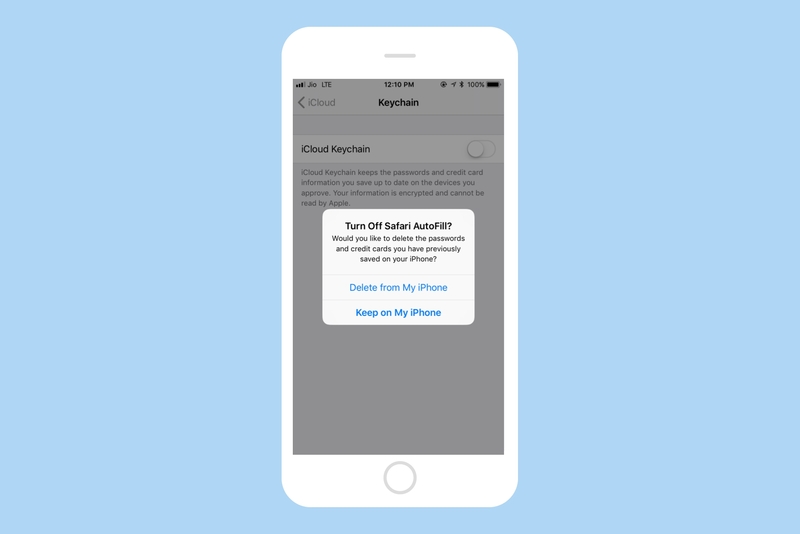 iCloud Keychain should now be enabled on your iPhone or iPad. Enable iCloud Keychain on your Mac. To enable iCloud Keychain on your Mac, head to System Preferences > iCloud and enable iCloud Keychain. Enter your Apple ID to proceed. Now, you can either enter the security code you created earlier or request approval from your iPhone. If you choose “Request approval,” you should receive a prompt on your iPhone asking whether to allow your Mac to use iCloud. Once you allow it, iCloud Keychain should be enabled on your Mac. Now that the setup is complete, Safari should offer to save passwords, payment methods and other info, and then seamlessly sync it all across your Mac, iPhone and iPad. Want to view or manage your saved iCloud Keychain passwords? That’s easy, too. On an iPhone or iPad running iOS 10 or below, launch Settings > Safari > Passwords. Authenticate your device using Touch ID or your device’s passcode. You should be able to see all the saved passwords. All your saved passwords show up here. It’s slightly different if you want to manage iCloud Keychain passwords on an iPhone or iPad running iOS 11, which is currently available in beta prior to its launch this fall. First, launch Settings > Accounts & Passwords > App and Website Passwords. Authenticate your device using Touch ID or your passcode. Here, you should be able to see all the saved passwords. Swipe left to delete a saved password. You can swipe left on an individual listing and tap on Delete to remove the saved password. You can also tap on Edit in the top right corner to remove multiple saved passwords. To add a new password manually, scroll all the way to the bottom. Then tap Add Password. Here, you can specify the website URL, the user name and the actual password. The only major gripe? You cannot generate random passwords when adding a password manually. View your saved passwords in Safari. To view saved passwords on your Mac, navigate to Safari Settings > Passwords. Now, enter your Mac’s password. You should be able to see all the saved user names and passwords. You’ll see saved credit cards details in a list like this. To view your saved credit cards, navigate to iPhone Settings > Safari > AutoFill > Saved Credit Cards. Here, you should be able to see all the saved credit card details. To delete a saved credit card, just swipe left on it and tap on Delete. You can also tap on Edit in the top right corner to remove multiple credit cards. 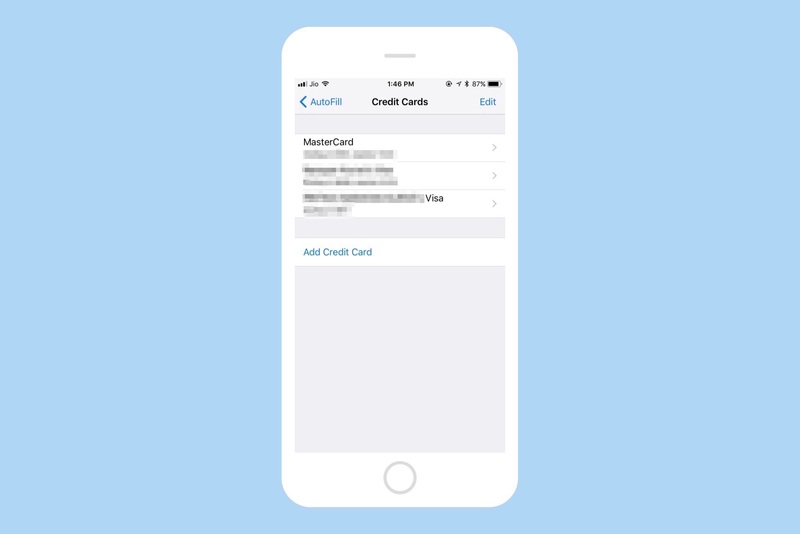 To add a new credit card manually, tap on Add Credit Card and enter the cardholder’s name, card number, expiration date and an optional description. A handy Use Camera function lets you capture card information using your iPhone’s camera. If you’d like to stop Safari from saving these credentials, navigate to Settings > Safari > AutoFill and disable Names and Passwords and Saved Credit Cards. You can choose to keep or delete existing passwords when disabling iCloud Keychain. If, for some reason, you’d like to disable iCloud Keychain altogether, navigate to iPhone Settings > Apple ID > Keychain and disable iCloud Keychain. Upon disabling, you’ll get the option to keep or delete previously saved passwords and credit cards. In iOS 11, you can use saved passwords in Safari inside other apps, too. For instance, say you saved your Twitter password in Safari. 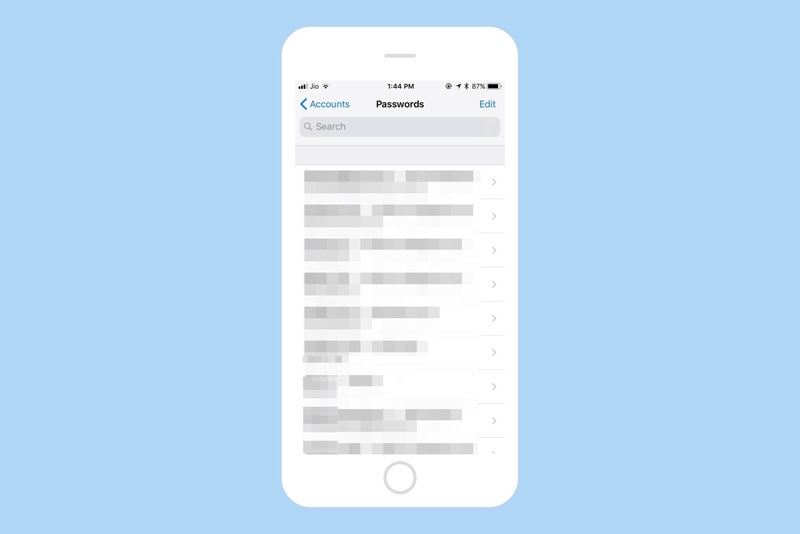 Now, iOS autofills that password so you can sign in to Twitter’s app automatically. To do so, simply navigate to the password field inside any app. You should see a key icon on the keyboard. Tapping on it will require you to authenticate using Touch ID or your device passcode. Once authenticated, you should be able to see all the saved passwords, and you can tap on the relevant one to auto-fill it. While there’s no denying that iCloud Keychain is amazing, it’s also pretty bare-bones. 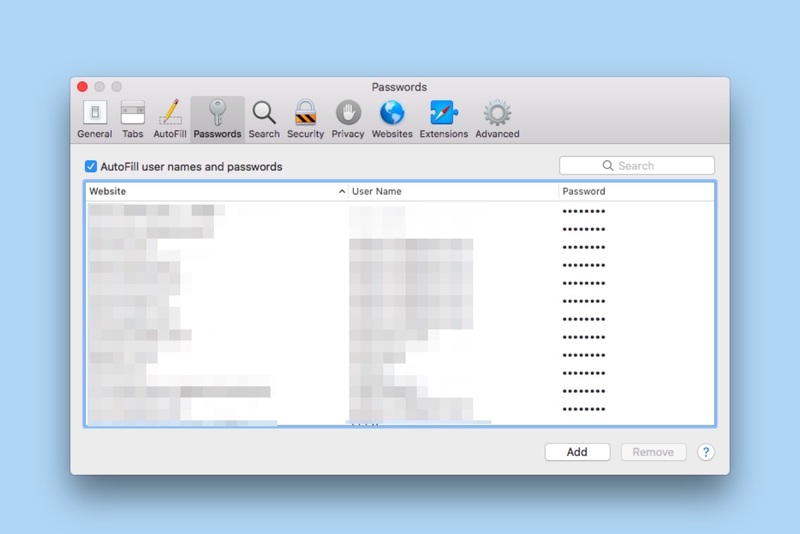 Unlike other password managers, there’s no way to organize your saved passwords. Also, you cannot save any information other than passwords and credit/debit cards. And, of course, it’s not cross-platform. Still, Apple’s extension of Password Autofill out of the browser is a welcome change. We’d love to see Apple add more features to iCloud Keychain in the future.